The Online Clergy Directory is for Diocesan Clergy only. 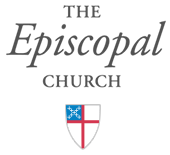 A password is supplied by the Diocesan Communications Office, required to access this page. To request the password, click here and click at Register tab. Be sure to include your full name (without space) and email address when sending a new account request. To access the Clergy Directory, click here. You may call the Diocesan Communications Office for assistance. After your account is approved, Diocesan Communications Office will send you an email with your account login user name and password. Please login and you will be taken to a page to complete your Directory Information and view complete Clergy Directory.